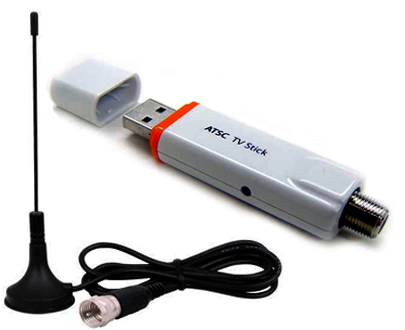 This USB external digital TV tuner allows PC users to receive free digital broadcast channels over the air or watch unencrypted clear QAM channels on their computer screens for countries in North America such as USA, Canada, Mexico or South Korea. This USB digital HD tuner transforms PC into a full-featured DVR and empowers your PC with RF antenna input. It finds local broadcast channels through antenna with crystal clear HD quality TV content up to 1080p or 1920x1080 pixels. This digital TV tuner also supports DVR function for personal TV recording. Users can do instant HD recording or scheduled recording of TV shows on daily/weekly basis. All the TV recorder features such as instant/scheduled recording, TV program timer, Time-Shifting, Closed-Captioning, and Electronic Program Guide(EPG) can be easily accessed from the supplied TVR software for all the entertainment tasks needed. This USB-based HDTV terrestrial tuner supports ATSC format for North America region. So it can receive and record local digital broadcast channels from USA, Canada, Mexico or South Korea. Starts enjoying the free digital broadcast channels in your area with crystal clear 1080p HD quality through antenna reception. This USB-basaed HD tuner can also decode those unencrypted clear QAM channels such as local broadcast stations, public-access channels or private QAM channels generated by modulators. [Note]: This tuner can NOT work as a digital cable box as the majority of digital QAM cable channels these days are encrypted. This device also supports PIP function, meaning that users can watch TV or recorded video playback and work on the computer at the same time. The TV video window screen can always stay on top of the computer screen. And TV video window can be moved to anywhere on the computer monitor and TV window size is resizable and up to full screen display. 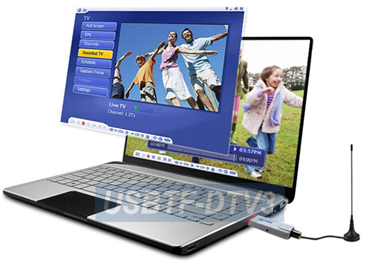 This USB TV tuner has bundled with easy-to-use TVR recorder software, which has very simple and interactive interface for users. Scheduled Recording: arrange the recording for your favorite TV programs in a pre-defined schedule. Time Shifting: play, stop, fast-forward and rewind live TV programs. Channel Editing: rename channels, add/delete channels, organize the favorite channel list or rearrange TV channel list. Closed Caption: featured with closed caption function to display subtitles on the TV screen. 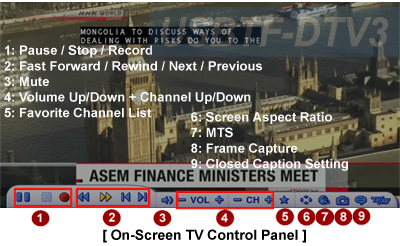 EPG: Electronic Program Guide function provides TV show schedules, allowing users to decide what to watch and record. Direct Burn: send the recorded video files to a DVD/CD burner without 3rd party DVD burning software needed. This digital TV tuner also supports TV recording function. The recorded videos are saved in MPEG format with HD picture quality. Selectable recording quality based upon the storage space available up to 1080p. User can do instant recording or programmed recording of TV program on pre-set schedule. Instant Recording: simply click the "REC" button on TVR control panel to record what is currently displayed on the screen. Scheduled Recording: users can pre-schedule the recording events based upon the desired TV show schedule and add to the recording list. In addition, users can also decide to leave the PC in hibernate mode or simply shut down the Windows and power off the PC to save energy after recording being completed. 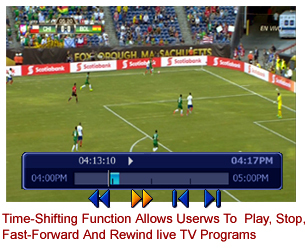 The Time-Shift function allows users to pause the live TV program at any time. Once paused, the rest of TV program will be stored on the system memory temporarily. When ready to watch the skipped TV show, click PLAY button from the TVR menu to watch payback from where being left off. Users can also do fast forward or rewind during the playback. 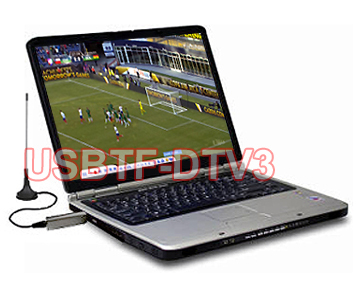 Premium USB-based ATSC SD/HD TV tuner for laptop or desktop PC for USA, Canada, Mexico or South Korea. Receiving free over-the-air digital broadcast TV channels through antenna at resolution up to 1080p or 1920x1080 pixels. Featured with clear QAM tuner built in for decoding certain unencrypted clear QAM channels. Adopts digital low-IF receiver technology for great reception sensitivity. Viewing or recording TV channels through PC in digital format for storage, playback, editing or disc production. The bundled TVR software provides easy-to-use interface for recording broadcast channels from antenna. Supports instant real-time recording and scheduled recording of selected TV programs. Supports HD video recording in MPEG format with maximum resolution at 1080p/1920x1080 pixels. Users have options to select different recording quality based upon the storage space available. Supports channel editing so users can rename channels, add/delete channels, organize the favorite channel list or rearrange TV channel list. Supports the Picture-On-Picture. TV/Video window always stays on top of the computer screen. 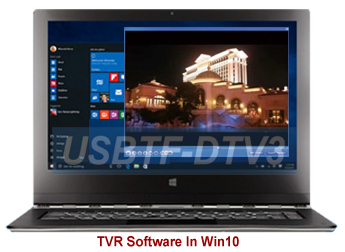 Movable and resizable TV video windows on computer screen so users can watch TV while using computer for other tasks at the same time. Supports snap shot function for taking screenshot of any frame image. Supports Time Shifting function to pause, rewind, fast forward, rewind to replay a TV scene or skip the commercials. Supports auto shut down of PC after the scheduled recording is completed. Supports all latest Windows OS including Win10, Win8.1/8, Win7, Vista, XP.